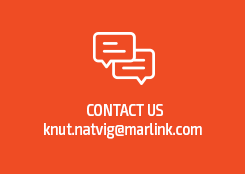 Marlink to deliver innovative Sealink Cloud with guaranteed bandwidth increase globally to help guests keep in touch whilst at sea. Geneva, Oslo/Paris, 13 June 2016 – MSC Cruises, the world’s largest privately-owned cruise line and market leader in Europe, South America and South Africa announced that it has worked together with Marlink – the pioneer of business critical communication solutions for customers operating in remote environments – to launch a next-generation connectivity for MSC Cruises’ fleet with multi-band VSAT services . Working with Marlink, MSC Cruises will provide dynamic bandwidth to its 12 existing ships as well as the next-generation ships currently under construction, including MSC Meraviglia and MSC Seaside. No matter the itinerary of the ships, the bandwidth will be able to accommodate seasonal fluctuations, thus optimising the dedicated ‘cloud of bandwidth’ available exclusively for MSC Cruises, ensuring all of the Company’s ships will be covered by one of the satellites that create a global service. MSC Cruises’ extensive bandwidth upgrade has been implemented to meet the growing demand from guests for fast social media and web access, access to work and streaming services. Marlink’s new services will provide unmatched levels of connectivity for MSC Cruises guests throughout the Company’s itineraries the world over. This announcement reflects MSC Cruises’ position as an innovative and forward-thinking cruise line by offering one of the most advanced guest connectivity services available at sea. With several hundred Mbit/s available in Marlink’s Sealink Cloud, MSC Cruises will deliver a whole new online experience for guests that are hungrier than ever for cost-effective, reliable Internet access for various usages while enjoying their holidays. Marlink is installing a cutting-edge multi-band satellite communications solution that combines capacity on new Ku-band High Throughput Satellite (HTS) and traditional Ku-band widebeam satellites. The new services will allow fast, reliable access to the web – including of course social media sites – for guests across MSC Cruises’ 12 modern cruise ships. The upgrade builds on MSC Cruises already highly advanced VSAT network with new high throughput modems and network configuration designed to handle huge amounts of capacity from different satellite operators. Reflecting Marlink’s role as the leading provider of business critical communication solutions for maritime and land customers, this latest service upgrade for MSC Cruises also includes satellite back-up services for MSC Cruises offices on shore and integration of terrestrial services for improved redundancy. The new services are live now.